Question of the Week – How did you arrive at your current eyebrow shape? Were you born with those brows, did you get them professionally shaped or did you shape them yourself? And are you happy with them? Answer: – I can’t even tell you how hard I’ve worked to get this arch! I’d plucked my brows into oblivion throughout my twenties and it was only when I started beauty blogging and seeing all the lush brows on other bloggers that I vowed to do something about it. I put down my tweezers and didn’t pick them up again. At first, they simply wouldn’t grow in (except for in the places that made them look untidy). I got them threaded every month and bided my time. After about 14 months, I started to develop the kind of thickness that I’d longed for… nothing too heavy but enough to define my face. Here’s what they used to look like (filled in) and here they are now (not filled in). Nouveau Cheap – Wet n Wild just released three new eyeshadow trios and a line of textured nail polishes. Have you seen them yet? If not, take a peek! Pink Sith – says the Kiehl’s Skin Rescuer is like therapy in a bottle for her troubled skin. Plus, bonus sad walking away music from The Incredible Hulk! Prime Beauty – has the 411 on the new butter LONDON Rock Your Colour Bespoke Colour Cosmetics Collection and it’s bright and beautiful! 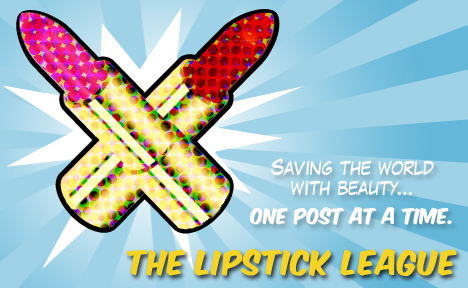 Vampy Varnish – has swatched and reviewed the new Too Faced Lip Injection Color Bomb! Moisture Plumping Lip Tints for fall 2013! we heart this – are giving away two amber delights; Win BPAL’s amber perfume oil and hair gloss! Clumps of Mascara – Okay, so it isn’t exactly beauty related but if you’re living the gluten-free and dairy-free life or just want a fresh and delicious salad, check out the recipe for this one. EauMG – is high on perfume this week (it’s OK, she’s in Washington state). Here’s EauMG’s guide to marijuana perfumes. These unusual perfumes contain a cannabis accord or are inspired by the substance. Don’t walk on the grass. Wear it. Gouldylox Reviews – Curious if the Marc Jacobs line is worth the hype? I’ve got pictures, swatches and details! Lipglossiping – feels the mercury rising with this spicy little number from Glitter Gal Cosmetics. Guaranteed to get you hot under the collar! My Beauty Bunny – is excited to be spreading the cruelty free message in the pages of People Style Watch Magazine! Check out my newsstand glee and the shout out to my favorite vegan hair care brand, DermOrganic. Guest Post of the Week, as chosen by Nouveau Cheap – Kimberly over at Libby’s Pink Vanity reviewed the Forever 21 Creamy Splatter Eyeshadows which, by the name alone, captured my attention! Tell me your brow story!